Get some amazing deals in the midst of all the iPad fury. There's a nice Core i7 laptop, an unbelievable price on one of the best games of the last decade, and a free version of Terminator Salvation. Go nuts! • 16" ASUS N61JQ-X1 Intel Core i7-720QM Quad-Core Laptop for $999.99 (normally $1299). • Psychonauts (PC) for $2 download (normally $9.99). • Terminator Salvation Download for $0. • 16" Sony VAIO FW Core 2 Duo 2.13GHz Laptop with Blu-ray for $1000 with free shipping (normally $1200). • 16" HP Pavilion dv6 Core i5 Dual Core 2.26GHz Laptop for $730 with free shipping (normally $850). • 16" ASUS N61JQ-X1 Intel Core i7-720QM Quad-Core Laptop (4GB/320GB/Radeon HD5730) for $999.99 (normally $1299). • 14" Dell Inspiron 1464 Laptop with Core i3 Processorplus Free Shipping (normally $799). • 10.1" Samsung NC10-13GB Blue Netbook for $284.99 plus free shipping (normally $326.91). • 27" Asus MT276HE WideScreen LCD Monitor for $349.99 plus free shipping (normally $369.99). • 22" Dell SX2210T Widescreen LCD Monitor w/ Multi-Touch & Webcam for $299 plus free shipping (normally $469). • 23" Acer X233H bd Widescreen LCD Monitor for $149.98 plus free shipping (normally $180). • Dell SX2210T 22-Inch Multi-Touch LCD Monitor with Webcam for $299 plus free shipping (normally $469). • Cavalry USB2.0 2-Bay External SATA Hard Drive Dock for $24.99 plus free shipping (normally $43 - use this form). • Microsoft Bluetooth Notebook Mouse 5000 Mac/Windows for $23.99 (normally $38.45). • D-Link DGL-4500 Xtreme N Selectable Dual Band Draft 802.11n Gaming Router for $134.99 plus free shipping (normally $159.95). • Seagate FreeAgent Theater+1080P HD Media Player $119 plus free shipping (normally $130). • Samsung SWA-4000 Wireless Receiver for $99.82 plus free shipping (normally $139.99). • SAMSUNG STORY Station 1.5TB External Hard Drive for $119.99 plus free shipping (normally $129.99 - use coupon code EMCYZNT43 ). • Psychonauts (PC) Game Download for $2.00 (normally $9.99). • Mass Effect 2 (360) + $10 Video Game Credit for $56.99 plus free shipping (normally $64.99). • Mass Effect 2 (PC) + $10 Video Game Credit for $46.99 plus free shipping (normally $58.99). • Raiden IV Limited Edition (360) for $19.99 (normally $19.99). • Raiden IV Limited Edition (360) for $19.99 (normally $29.99). • Street Fighter 4 for PC for $20 with free shipping (normally $26). • Final Fantasy Crystal Chronicles: The Crystal Bearers (Wii) for $32.98 plus free shipping (normally $49.95). • Tritton Universal Gaming Headset (360) for $54.99 plus free shipping (normally $64.72). • Endless Ocean Blue World with Wii Speak (Wii) for $29.98 plus free shipping (normally $51.77). • Grand Theft Auto: Chinatown Wars (DS) for $15.66 (normally $19.99). • MySims Kingdom (DS) for $8.79 (normally $14.49). • Star Wars the Clone Wars: Republic Heroes (360) for $36.99 plus free shipping (normally $44.95). • Mad Catz Street Fighter IV FightStick (PS3) for $39.99 plus free shipping (normally $69.99). • Dark Void (360/PS3) for $49.77 plus free shipping (normally $58.80). • Shin Megami Tensei: Persona 4 (PS2) for $27.77 plus free shipping (normally $36.98). • Karaoke Rev American Idol Encore 2 with Mic Bundle (360) for $9.99 plus free shipping (normally $22.62). • Red Faction: Guerilla (360) for $17.99 plus free shipping (normally $27.92). • Creative PCI-E Sound Blaster X-Fi Titanium Fatal1ty Champion Series Gaming Sound Card for $149.99 plus free shipping (normally $162.03 - use coupon code EMCYZNT46). • 55" Toshiba REGZA 55SV670U 1080p 240Hz LED TV for $1,723.20 plus free shipping (normally $1849). • 50" Panasonic VIERA TC-P50C1 720p Plasma TV for $600.00 plus free shipping (normally $781). • 50" LG 50PQ10 720P Plasma TV for $700 with free shipping (normally $899). • 50" Samsung PN50B550 1080p Plasma HDTV for $959 plus free shipping (normally $1057). • 47" Vizio SV470XVT1A LCD HDTV (1080p, 120Hz) for $764.10 plus free shipping (normally $999 – use coupon code: URTYJLI8). • 46" Panasonic TC-P46G15 VIERA Plasma HDTV + Panasonic DMP-BD60 1080p Blu-ray Disc Player for $1058 with free shipping (normally $1317). • Dark City-Director's Cut (Blu Ray) for $7.99 (normally $16.04). • Tim Burton's Corpse Bride (Blu Ray) for $7.99 (normally $14,94). • The Aviator (Blu Ray) for $7.99 (normally $16.58). • Hellboy II: The Golden Army (Blu-ray) for $11.49 (normally $16.15). 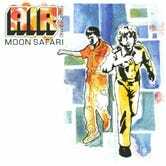 • Moon Safari Album by Air (MP3) for $1.99 (normally $7.99 - download here). • Samsung DualView TL220 12MP 4.6X Digital Camera w/ Dual LCDs (Front & Back) for $216.99 plus free shipping (normally $299 – use coupon code: JAM0220). • Creative Zen MX 8GB MP3 Player (Voice Recorder, FM Tuner) for $59.99 plus free shipping (normally $79). • Vizio VBR100 Blu-Ray Player (BD-Live, USB Port) for $99.99 plus free shipping (normally $199). • Pentax Optio W60 10 MP Waterproof Digital Camera for $192.95 plus free shipping (normally $222.82). • Coby MP-C7082 MP3 Player with 1 GB Flash Memory with FM & Color Display for $8.40 (normally $28.48). 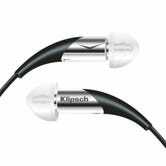 • Sennheiser MM50 iP iPhone Compatible Earbud Headset for $59.14 plus free shipping (normally $69.98). • 5 LED Head Lamp for $1.99 (normally $4.99). • iBomber (iPhone) for $0 (normally $2.99). • How To Be Invisible by J.J. Luna (248 pgs) for $0 (normally $12.69, use this form). • Fields and Axioms by Another Electronic Musician (MP3) for $0 (download here). • Free Playtex Gentle Glide Sample for $0 (use this form). • Free Advance Copy of Intertwined Book for $0 (use this form).